They say that a cat has nine lives. Puma is one cat that needs no extra lives- the brand practically dominates in Sports clothing and accessories industry. Puma products have been used throughout the ages by some of the best and most talented athletes the world has ever seen. Puma started with modest perseverance. The journey began with two brothers with a talent for making sports performance enhancing shoes. Rudolf and Adolf Dassler founded Dassler Brothers Shoe Factory in 1924 Their first major break was in the 1936 Olympics when world class athletes sported Dassler spikes and won gold medals. 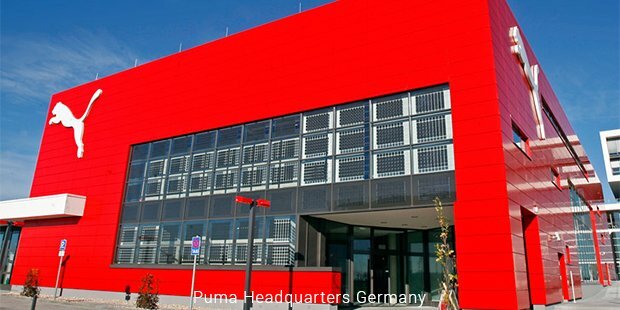 Puma was founded by Rudolf Dassler in 1948 and the assets from old business were divided equally between the brothers. The same year, Puma also launched its first football boot- The Atom. Puma’s first major contribution to the football world was in 1952 when it released the Super Atom- first football boot with screw in studs. In the later years, the company developed enhanced version called Brasil. This attained international glory when the Brazilian team won the 1958 World Cup in Sweden sporting Puma shoes. In the 1960’s Puma became famous for advanced production technique of vulcanization (a technique which bonds the sole and shaft of the shoe). This led to a more enhanced performance. The ‘60s saw world famous athletes like Pelé and Portuguese football star Eusebio winning events and Puma was continuously in the spotlight. 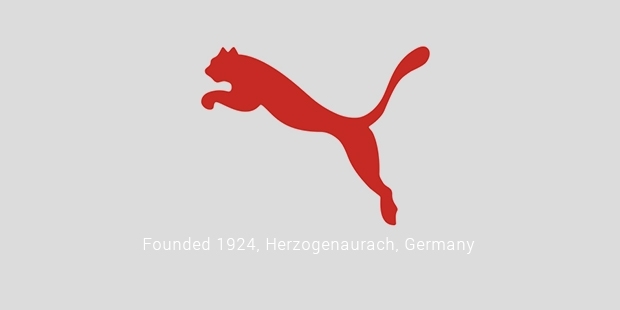 Puma’s world famous jumping cat logo - introduced to the world in 1967- was the brainchild of a cartoonist from Nuremberg, Lutz Backes. This logo was amended in 1979 to a puma jumping across the corner of the word PUMA. This is now seen on all Puma shoes and apparel and is a mark of quality and superb attention to detail. Puma was in the spotlight in 1968 when athlete Tommie Smith and John Carlos, post Tommie’s gold medal win at a 200 m running event, raised fists in a power salute as a sign of protest against apartheid, racism and discrimination towards African Americans. The 70s, 80s and 90s brought a lot of fame to the Puma brand as athletes sporting Puma products continued to successfully win their games. Puma drew world’s interest for innovative marketing in 1996 when Linford Christie showed up at a press conference wearing contact lenses with a white Puma cat emblazoned on them. The 2000s focused mainly on Puma’s expanding line of football related products. Also Usain Bolt was primarily responsible for Puma being in the limelight during these years. Puma continues to make a name for itself in 2014 with the release of the evoPOWER football boot and the appearance of its innovative football products at the Brazil FIFA World Cup. The story of Puma conveys a strong message to small players vying to make it big - though you start small, you can make it big with hard work and perseverance.